I'm SpottyBug on the PSN. I'm old, married and got a job that keeps me busy usually 6 days a week. Still find time to play and fool around. I played Fonline 2238 for a long time, years, then the server died, but luckily xcom had come out, so that was my new thing. I also greatly enjoy Resident Evil Revelation at the moment, especially the Co-Op Raid mode. 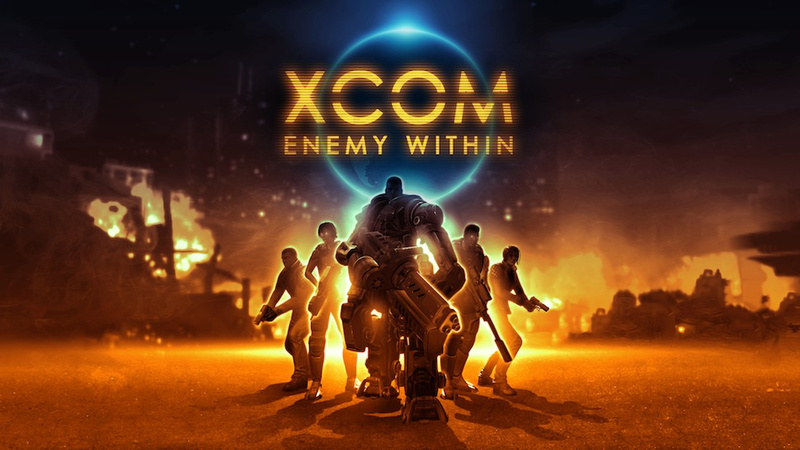 I love playing xcom eu/ew, singleplayer got boring though, only enjoy the first few months, the later months are just boring grind. Point, shoot, kill. No tactics. Multiplayer, that gets your head thinking, coming up with ideas to fight your opponent. According to my ranked stats, my wins and losses are like 50/50. I don't really care if I win or lose, I'm just happy to play. I love trying wacky squad builds, I know I will lose using them, but I love playing them, which is what gaming is all about! I'm Rek19769 on Psn. I'm old married 3 kids pets mortgage etc. I do the cool stuff to cars you see on TV without all the glamor and high profile chaos. And just in case go ahead and clean your backseat for me right now mystery foods r not fun to find when your kids dropped it 9 months ago between the seats. See the lack of glamor? They don't show that on pimp my ride! Anyway I like me some xcom and strategy turn based games into destiny at the moment but its a love hate thing we have. I came to online gaming late xcom was my first online multiplayer I actually played and fell in love with it. Really enjoy playing with people that really just enjoy playing. BladeRIP, 40 years old. No wife, no kids (just pets) and no worries. I like to play . Glad to see another site has sprung up to replace the old one. I hadn't been back there for a while so I don't know if my last comment in the shoutbox had anything to do with the strop that saw it deleted. My current gaming addictions are XCom (although I'm winding down now, can't put in the same kind of vegetative hours I used to without getting bored) and FM2012 (it's what I do while I'm watching tv/films and deluding myself I can multitask) and I recently fell in love with Rocket League but can only play that when a friend brings round their PS4. I don't play XCom multiplayer ranked anymore as the attitude is tiresome and there's no way to avoid the broken maps. I'm usually up for some custom games though, especially against people that don't take things too seriously. I rarely keep a squad for very long even those that have proven to be effective. I live to experiment and don't care if I lose because of it. Names Josh, 30, stay at home father of two. Just fell back in with EW and couldn't find any matches, luckily I found you guys. PS3 ID Darthblasphemer, just mention xcom if you decide to message or friend me. Hi there, I’m c4mus 31 years old, from Switzerland, married but no kids so far... My job consist of making reach people getting reacher (but surely not more happy) So yeah, here’s the cliché, a Swiss working in banking but who really starts getting sick of it and looking for a better purpose in his life. Anyway, “x-com wise” i’m fairly new having started multiplayer only a couple of months ago but really love it due to the countless strategies available AND a small but very great community with people playing just for the sake of playing. Amen to that! Otherwise I’m a big cars fan, so Gran Turismo 6 is another of the few games I regularly played online together with USFIV and some other to a less extend. Well did I say regularly? Actually haven’t been playing any of those since I got addicted to that Aliens thingy, damn it . Though, I cant really think of any type of game that I fundamentally don’t like except those free to play/pay to win games (really hate this concept) and, FPS which actually used to be my favourite genre until the golden age (counter strike) let the place to what I personally consider as the rotten age of fps which came together with that “hide behind the wall n recup your health” principle as well as many others which really make fps not my thing anymore..
Couldn't get a FR to you jackal. I tried both 0 and O between the x's.